Wood, Vinyl, or Composite Windows: What’s the Best Choice? High-quality windows beautifully frame the view from your home and add to the overall ambiance of your living space. While the right windows can last decades, not all windows are ideal for all situations. Knowing the pros and cons of the most common types of windows will help you choose the ones that are best for your needs. Wood windows are produced from either hardwoods such as oak, chestnut and sapele or softwoods such as European redwood and Douglas fir or from a combination of hard- and softwoods. Hardwoods are often used as veneers on softwood frames. Wood is a classic choice for a number of good reasons. The look of wood can fit into nearly any home design, but it’s especially well suited to older, traditional homes. Natural wood adds a touch of luxury to modern designs, too. It’s hard to match the versatility of wood, which you can paint or stain any color you choose and change that color whenever you like. On the practical side, wood frames are the optimal choice for energy efficiency. They insulate 400 times better than steel and 1,800 times better than aluminum, helping to keep your home warm in winter and cool in summer. In addition, they provide a better sound barrier than almost any other type of frame. Because wood windows are easily installed with basic tools and carpentry skills, they’re a perfect choice for the do-it-yourselfer. The main disadvantage of wood is the high level of maintenance it requires. 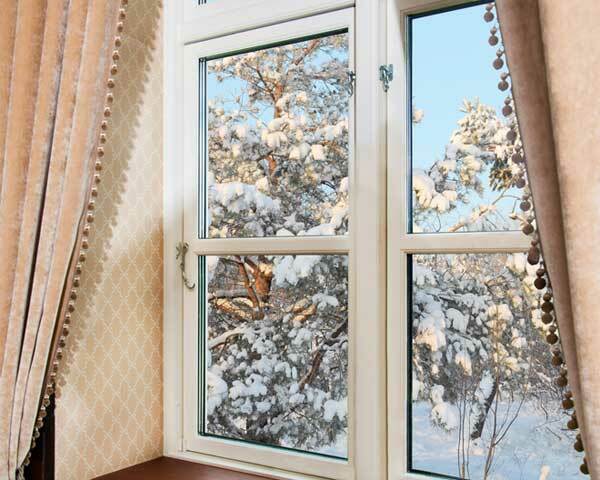 Wood windows can last decades, but they need consistent and correct care. You’ll need to treat and paint them to prevent rot, warping, and swelling. Neglect this job and your window frames can become deformed, preventing you from opening and closing your windows. Moist, salty ocean air is rough on wood windows, so wood frames aren’t the best choice if you live anywhere near the beach. You can still use them, but they’ll require more maintenance than they would in other climates. Cost is another downside. The purchase price of wood windows is typically higher than that of other frames. Because wood has such a long lifespan, though, your investment will pay off over time. Vinyl windows are made of PVC, the same material often used to make pipes. One type of vinyl window contains hollow chambers that reduce their weight, help them insulate more effectively, and reduce condensation. Another type is made from cellular PVC, which has a sponge-like structure that produces a stronger frame. Low maintenance requirements are the biggest benefit of these window frames. Vinyl won’t rot or warp like wood or corrode like aluminum or steel, so it needs little care to stay in shape. Although white is the most common color for these frames, they’re available in a wide variety of colors. Unlike wood frames, they never have to be painted. The colors are designed to resist fading and because the color is infused throughout the material, scratches and scuffs are hardly noticeable. If you’re looking for something energy efficient, vinyl is a reasonable choice. This material conducts heat less readily than aluminum, so it won’t heat up your home in summer. It’s also better at blocking outside noise than aluminum. Because vinyl windows can mass produced in factories using low-cost, readily available materials, they’re among the most budget-friendly window options. Vinyl windows aren’t quite as impact-resistant as metal window frames. If you live in a mild climate where energy-efficiency isn’t a top priority, yet you see frequent high winds or hail, metal frames are likely to be a better option. Because vinyl can’t be painted like wood, you won’t have the option to change the color to match any home remodeling you might do. Extreme heat can cause these windows to fade or discolor, and once this happens, there’s no way to restore the color. The manufacturing process used for vinyl windows makes them cheap to mass produce, but costly to customize. So if you plan on having custom windows in your home, vinyl windows might not be the most cost-effective way to go. While durable and recyclable, vinyl isn’t biodegradable and therefore isn’t as eco-friendly as wood. Composite windows are made from a combination of materials, such as wood, metal, and vinyl or another plastic. Some designs are made with wood on the interior side for aesthetic appeal and vinyl on the exterior for ease of maintenance. Others consist of wood with aluminum or vinyl cladding. Composite windows are gaining popularity for their ability to combine the best aspects of several different materials. 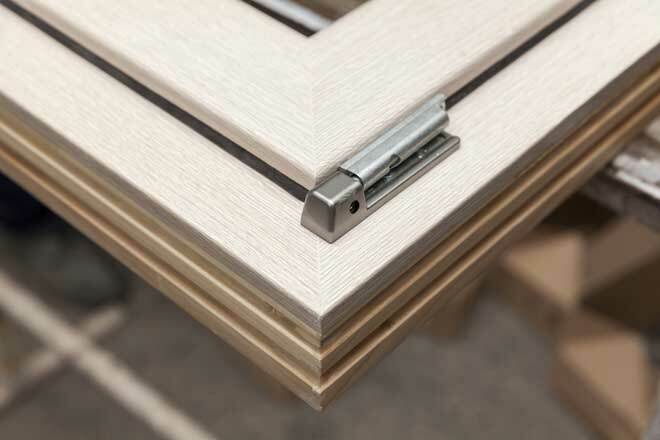 Composite window frames combine the strength and stability of wood with the rot-resistance and low maintenance requirements of vinyl and aluminum. These windows are also impact resistant, so they’re less likely to suffer damage from high winds and hail. 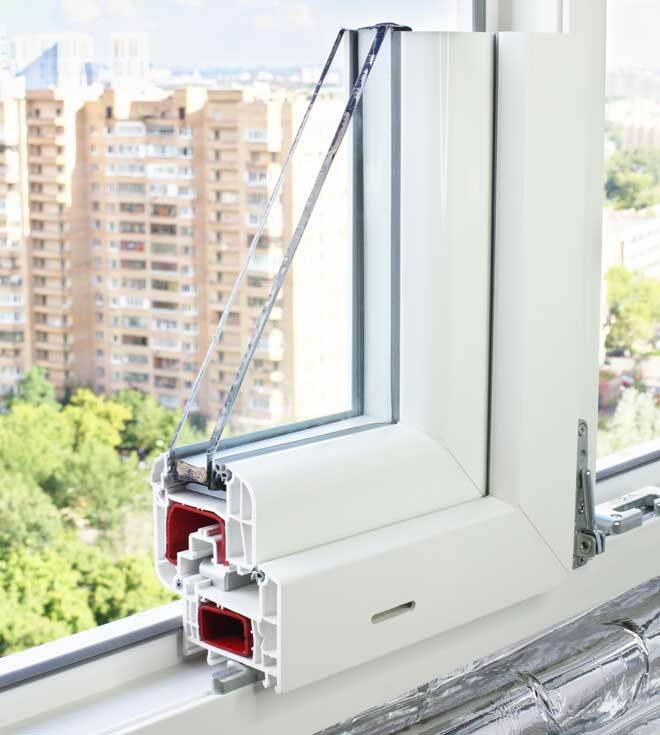 The energy efficiency of composite windows depends on the materials used and the design, but well-made composite can be highly energy efficient. Composite windows made with wood have the same thermal properties as wood windows, making them an energy efficient choice for your home. Like vinyl windows, composite windows come in a variety of colors and styles. They’re a reasonably green option, too. Some composite windows are manufactured using recycled materials and the components are easily recycled, so there’s no need for your old windows to end up in a landfill. While composite windows cost more than vinyl, they’re only somewhat less expensive than wood window frames. Composite windows have advantages wood windows don’t, but if you strongly prefer the traditional nature of hardwood windows, the cost savings of composite models might not be worth it to you. Appearance is another factor. Windows that contain vinyl or metal work best with modern designs, but can look a little out of place on a traditional home with wood features. Because there’s more than one type of composite window, you’ll need to invest some time in finding a design that provides the benefits you’re looking for. What’s more, not all manufacturers produce equally reliable products, so it’s worth doing some research if you’re considering a product from a manufacture that doesn’t already have a solid reputation. Wood, vinyl, and composite windows all have their inherent strengths and weaknesses as well as advantages and disadvantages that depend on your personal preferences. Wood is a smart choice for versatility and durability, especially if you’re interested in ordering a custom-made design. Vinyl windows are often the most practical, affordable choice for milder climates. If there are aspects of several materials that appeal to you, consider composite windows.